Nanotron launches 360° Edge Analytics and new location-aware wireless sensors for industrial IoT at embedded world 2019 | Location Running. Berlin, Germany, January 28, 2019 – Nanotron Technologies GmbH will be presenting its sensor and location data analytics products at the embedded world exhibition in Nuremberg, Germany from February 26 to 28, 2019. The company specializes in Sensor and Location Data Analytics on site and at the edge. 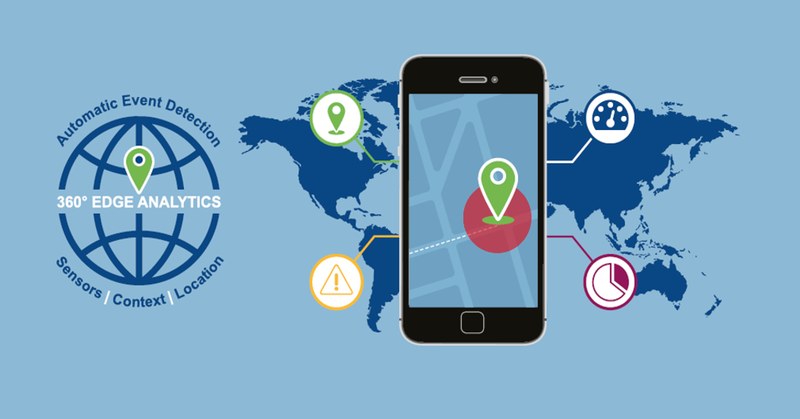 Its new analytics products fill the gap between raw sensor and location data and business applications by automatically extracting event information in real-time. Position data is collected and augmented using application context information. Insights into complex business processes are the direct output. Data is transformed into actionable, powerful insights and profitable knowledge. At embedded world, nanotron will launch its new 360° Edge Analytics solution, the first of an entire portfolio of analytics tools and a new line of location-aware wireless sensors suitable for verticals including mining, manufacturing and healthcare. Nanotron’s 360° Edge Analytics solution processes data from any sensor in conjunction with any location radio technology. Location-aware sensors – sensors who are also able to report their location are increasingly important for distributed data acquisition such as sensing gases across extended areas in the mining industry. Location-aware sensors are built on established and time-proven tag-ready smart RF modules – nanotron’s swarm bee product family – utilizing a common API. Ready-made anchors allow for easy to install scalable IoT infrastructure. The powerful set of available deployment and productivity tools enables customers to smoothly and easily scale up to increase the number of tracked objects and the size of the monitored area. Offering a per-node coverage range of up to 500 meters, the solution tracks objects with an accuracy down to 10 cm. It leverages the advantages of concurrent data communication, ranging and tracking and provides an extremely power-efficient approach for extended battery life of mobile devices. Customers can start with straightforward functions such as automatic collision warning and real-time tracking. More sophisticated and powerful sensing and location-awareness capabilities can be added to the existing deployment right away or at an appropriate time in the future. Step-by-step implementation simplifies the deployment process as well as software integration thus minimizing time to market.